Summer: that time of year when folks begin looking for family fun that won’t break the bank. Fun Junction USA in Fayetteville, formerly Dixieland Fun Park, is under new management, and they have tons to offer – plus a flexible new pricing structure. In fact, Fun Junction USA offers more than 20 attractions. These include favorites like go carts, bumper boats, a zip line, and the giant swing, as well as the park’s signature Screamin’ Eagle Coaster and The Drop Zone, which plunges riders 44 feet not once, but six times. Mini golf enthusiasts should check out the park’s three 18-hole courses, and the Wild West indoor laser tag arena appeals to teens and groups. Younger guests can try the Ferris wheel, Scooby’s Silly Swing, jeep rides, and the flying banana, or have a ball in the huge indoor playmaze. There’s also a large arcade and the park plans to open a slick track soon. 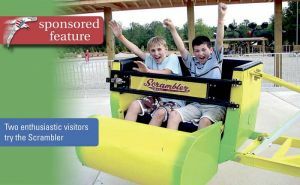 In the past, every visitor paid a general admission fee like a national amusement park, whether they rode rides or not. Fun Junction USA has changed that model, and now visitors pay per ride using tickets, which are available individually or in discounted sets. There is a five-dollar parking fee, but it comes with five dollars’ worth of ride tickets. In addition to everyday fun and games, Fun Junction USA offers group and party packages, which include food, tickets, and more. It’s a popular spot for birthday parties, little league banquets, and other kid-centric events, but also for family reunions, corporate events, graduation parties – even baby showers! 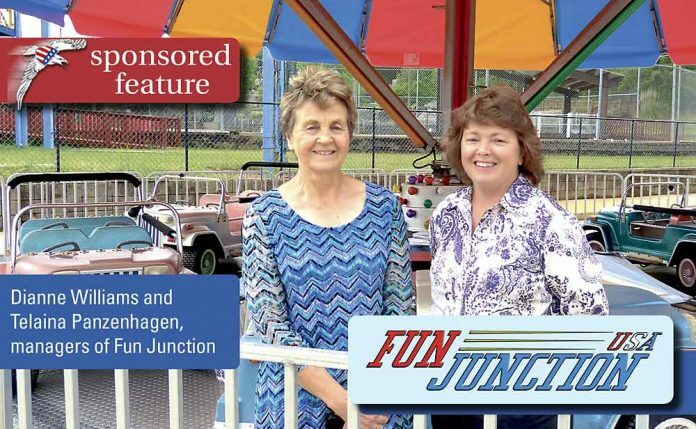 Fun Junction also screens all its employees very carefully, and believes everyone on staff is in the business of ensuring guests have a great time. The park has also hosted a handful of film projects over the years, including the most recent Alvin and the Chipmunks movie, so guests can ride the same rides their favorite characters enjoyed on film.